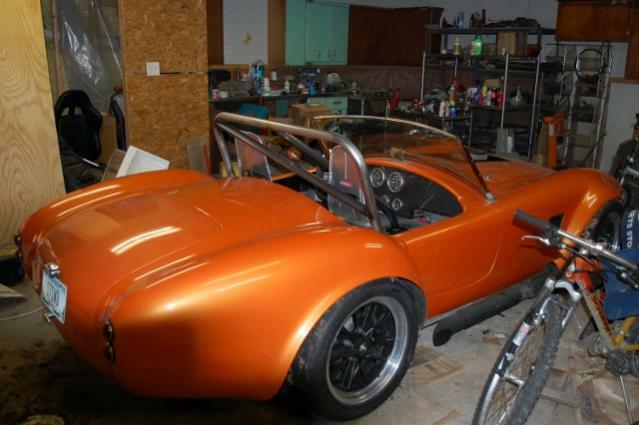 I'm heading down to Indy tomorrow with the cobra in my trailer to get a roll bar fabricated. I brought it home yesterday. The roll bar looks perfect! To fit the tubes in the chassis he had to get tubing a little larger, turn it down on the outside and insert it as a spacer. Anyway it looks just as I would want it in a perfect world. It is not bolted in yet so I can adjust the height to be not too high and not too low.. I also need to paint it. hmmmm....black or silver? I'll get some pics today. With the roll bar installed, along with the lowering, 16" rims and Hoosier slicks. It was cold today and the slicks felt like they were rubbed with olive oil but it was sunny and good for taking pictures.. Tomorrow I hope to get the garage warm enough to paint it. The guy who fabricated and installed it is amazing. It had to fit down into the two tubes adjacent either side of the seat. The tube is aluminum and an odd size. The roll bar is steel. 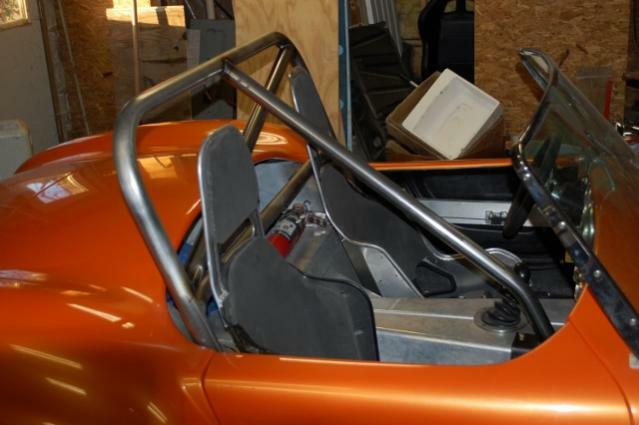 To create a sleeve to make the smaller roll bar fit into the larger chassis tube he had to put the spacer tube into a lath and turn it to the correct size to fit the hole. I'll drill holes to bolt it in and paint it myself. Last edited by t walgamuth; 11-14-2018 at 08:09 PM..
Today I removed the wheels and brake pads and ordered new pads with a street compound from Pegasus. Dropped it off at my indie's shop this morning. By afternoon the TBI was sitting on the intake and he was looking at plumbing. I had to go fetch some plumbing fittings. We discovered the steering stops which keep the tires off the suspension and they were bent ... so we bent them out where they need to be. He'll weld on a brace on each side to keep them in place. I'm having him remove my rear sway bar, lower the driver's seat 2", etc. Today they ran new fuel line, installed the new fuel pump, sorting the wiring and removed the rear sway bar. I took the brake and gas pedals to the aluminum welding pro and am getting them extended and offset more as needed. They are hoping to finish today. I picked up the modified pedals today and delivered the brake pads, unfortunately only pads for one end of the car came in, the other is back ordered. I'm still looking for a hood scoop to add to my hood or a complete hood with the scoop already installed. The hole in my hood which previously permitted my Webers to emerge from the engine bay looks silly now with the little four barrell and air cleaner in it. 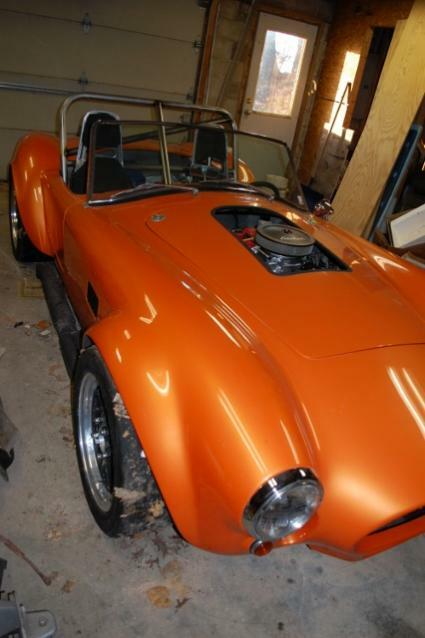 Anybody have a hood for sale or a hood scoop that looks appropriate for a cobra? The fuel pump had to be bled. So the Cobra starts on the first compression stroke now. The only thing left unfinished was the rear brake pads since they have not come in yet. I loaded it up and brought it home. I installed the smaller steering wheel again and we adjusted the pedals so they are pretty ideal now. I'll take it back to Indy asap and get a brace welded onto the roll bar. I got the roll bar braces installed now. Beautiful welding from two lane performance in Indianapolis on Hardy street on the south side. I'd like to see that, don't know know many V8s that will start within 90 degrees of the starter engaging, . I could be wrong. It starts very fast for sure. That's a great outcome, bet you're happy. 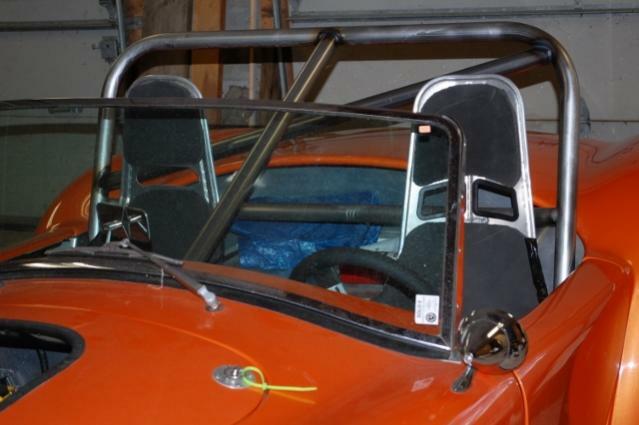 Pics of the roll bar install. 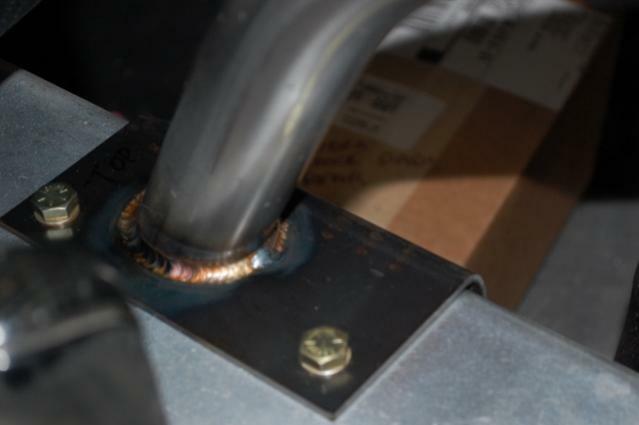 I particularly love his workmanship on the welds. Its a lovely day today, sunny and high of 50f. 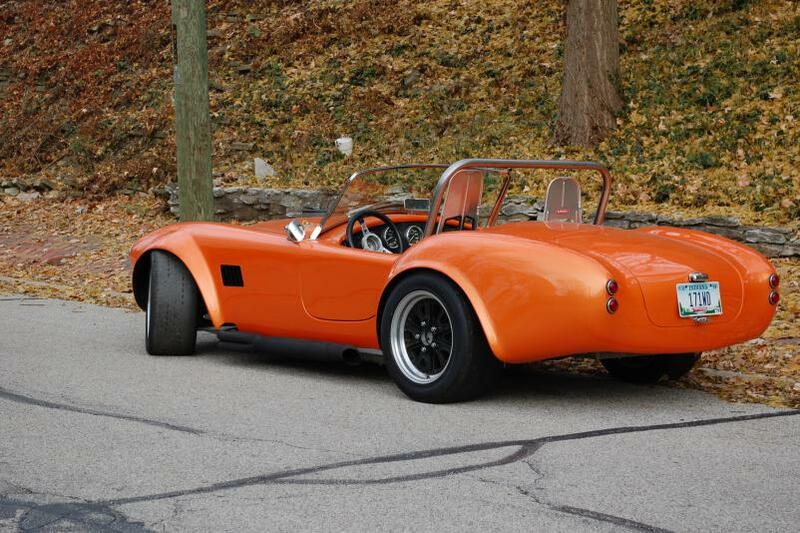 I think I'll get the cobra out for one last drive today!